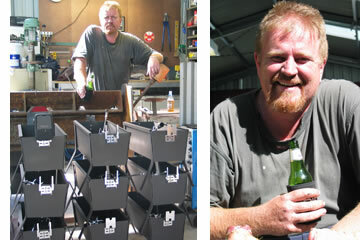 Spithouse Spits are made in Terry's shed in the Eastern suburbs of Melbourne. SPITHOUSE ON THE ROAD !!! Is it any good ??? Spithouse visits the friendly people of Birdsville.